Kiva has got to be one of my favorite charities on the planet. Their system is all about microloans and microfinance - a system which earned Dr. Yunus the 2006 Nobel Peace Prize. Here is how it works. A local businessperson in a small town, let's say a quiet village in Peru for example, needs a loan to buy more ducks. Their local lenders - if there even are any - don't have money for this kind of project. If they did, they would charge outrageous interest rates. All that businessperson needs is maybe $50 to vastly improve their life - but they can't get it. With microfinance, people from a developed country like the US lend that money. Kiva.org lets you put in money in $25 increments, so that multiple people can team up and create a loan for a person. Now the duck buyer gets the loan they need. When they buy the ducks, they make money selling eggs, easily earn enough money to pay back the loan with interest. The lender gets their money back, and the cycle can start all over again! The duck buyer is really happy, their life is better, and the loaner did a good deed for "no cost"! 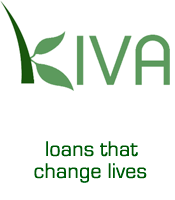 The way Kiva works, they work through local lenders. They do this to help the local lenders stay in business too, so that the loan helps multiple people, not just one. The local lenders are able to charge really reasonable interest because the Kiva money comes to them "for free". So the lenders survive on that interest. The loan is actually helping an entire village, not just one person. Better yet, you are not just "giving" people money in charity. They are earning it, using it to better their lives, making payments. They are helping themselves. You are giving them the ability to succeed. I highly recommend Kiva. I think parents should set up accounts for their kids, and seed it with $25 or $50, to show their kids just how powerful a "small" amount of money can be. Join the BellaOnline Kiva Team!